After spending the better part of an hour in the dressing room with a lovely and patient jeans fitter (who knew her job existed? ), who kindly fetched me different sizes, cuts, and new styles, voila! I found the perfect fit for my 5 foot, curvy, and smallish-waisted body. I was overjoyed. And very glad I wasn’t in the market for a new bathing suit or bra that day because finding the right pair of jeans was enough hell for one day. I’d found my perfect jeans–a pair of low riders with flared leg, a bit of Spandex for give, and two embroidered back pockets. I grew up as an Army brat in a close-knit, bilingual family. A creative child, I loved drawing and telling stories, which I learned from listening to my maternal grandmother and mother’s wonderful stories of growing up in Ponce, Puerto Rico. As a child, I loved reading Nancy Drew mysteries, books about great adventures on the high seas, life in the Caribbean, historical fiction, and family sagas. I was an inquisitive child with a good case of being nosy! I always eavesdropped on my elders’ conversations, much to my mother’s dismay. In my teens, I developed a love of classic Puerto Rican literature, thanks to my Spanish teacher, Señora Esteves. La Charca by Manuel Zeno Gandía (considered by many to be the first Puerto Rican novel), Julia Burgos’ poetry, and El Jíbaro by Dr. Manuel A. Alonso, are still among my favorites. My sister and I love extreme weather, and by the age of 18, I’d lived in four countries, each time trying to make my way in a new world. My favorite sanctuary was my grandparent’s farm in the mountains of Puerto Rico. I married an Army officer and had two children by Caesarian section, which led to an interest in becoming a doula, an assistant to a midwife. After my mother’s death in 1992, we moved to Europe with our two children, where we lived for thirteen years. My reading interests as an adult remain the same and include memoir and women’s fiction. I believe all little girls need a heroine who looks like them. 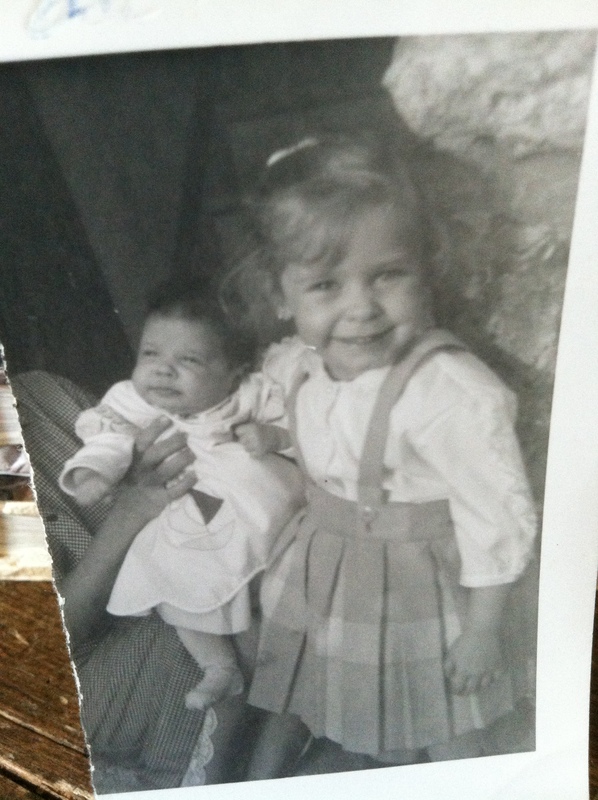 As a young mother, I began researching my family tree on both sides of the family–Polish-Russian, Italian-Canarian (Canary Island), and Puerto Rican, which led to a love of family history and oral storytelling. 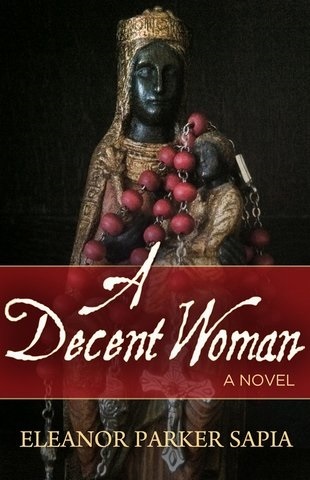 The writing of my debut historical novel, A Decent Woman, was filtered through my life experiences, cultural background, and interests, which in turn produced my writing voice. I wrote an historical novel/family saga set in turn of the century Puerto Rico, based on my grandmother’s lifelong friendship with her Afro-Caribbean midwife. My protagonist, Ana Belén, is a strong, courageous, Afro-Cuban heroine, an unassuming champion of women’s rights, and a midwife who must battle male doctors entering the birthing room for the first time. She is a mystical and spiritual woman, who explores the idea of decency in early Puerto Rican society through her life experiences as a black, poor, illiterate woman–an outsider. What about my fascination with extreme weather? A baby is born during a hurricane in the first chapter. My love for my grandparent’s farm? 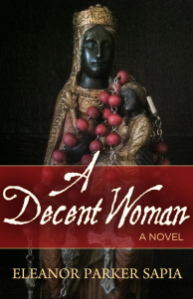 The farm in Jayuya is the setting of the sequel to A Decent Woman, titled Mistress of Coffee. My voice, the essence of who I am, if you will, my soul and spirit are on the pages. You might have grown up in a bilingual family, you might be an Army brat like me, and you might even be a Puerto Rican Army brat, but we won’t see the world in the same way. Each of us is unique. READ. Think about why you like certain books. Do you like happy endings or not? Why is that? What’s important to you, what frustrates you about people and the world, and what can you not abide? Write about that. OBSERVE. Observe the world around you. Describe what you see, hear, and touch. You are unique. Only you can tell your story. Read to broaden your horizons, and improve your writing skills by reading authors you admire, but don’t copy them–it might come off as fake–be yourself. Try on new ‘skins’, but use your unique ‘skin’ when you write. Your voice will always be the perfect fit. 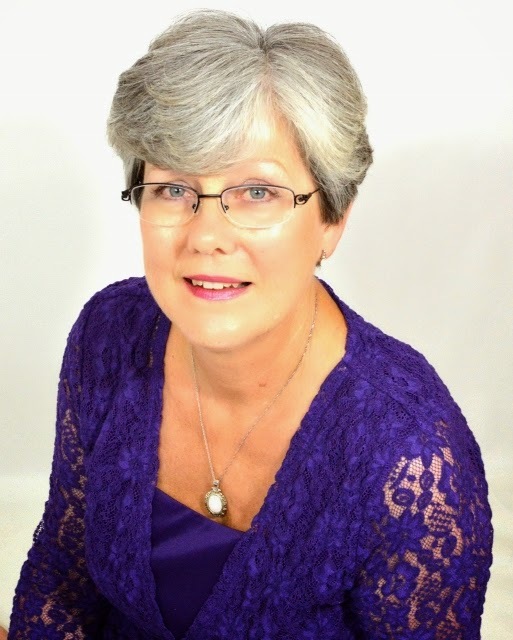 Today I have the great pleasure of welcoming author, Yvonne Payne to The Writing Life. Our mutual friend, author Kathryn Gauci introduced us, and it turns out Yvonne and I share a common love–Greece. Yvonne Payne enjoys a duel life between Wiltshire, UK and Kritsa, a village in Crete, Greece. Since 2001, short-term Human Resources (HR) contracts funded long breaks in the sun that inspired her to write creatively instead of redundancy letters. Secondary school streaming meant English literature classes did not feature on Yvonne’s timetable despite her being an avid reader, and author of eagerly awaited, hand written serialised stories for classmates. Leaving school at sixteen Yvonne worked in retailing, a move that eventually led to her writing company newsletters and training materials to launch her successful HR career. As a regular contributor to Crete related forums, which included sharing children’s stories based on observations of Cretan village life, Yvonne finally decided time was right to tackle a novel, so she started to investigate the true story of a Kritsa lass who, in 1823, participated in a fierce battle against Ottoman oppression. 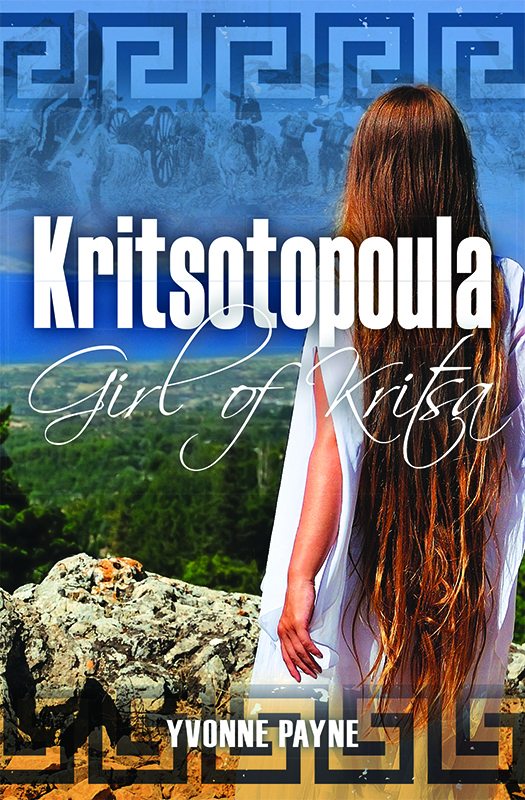 Research into tales of Kritsotopoula (Girl of Kritsa), plus firsthand experience of Cretan food, customs, mountain hiking, and donkey trekking, delivered the inspiration for Yvonne’s first novel, Kritsotopoula, Girl of Kritsa. The right answer is historical fiction, but for me that conjures up a vision of men in doublet and hose, with women in low cut gowns and bonnets. Whereas Kritsotopoula, Girl of Kritsa, is an historical adventure set on the Greek island of Crete in 1800s, during the rebellion against Ottoman oppression. The novel is based on the true story of a young village lass, Rodanthe, who was abducted from her home in Kritsa on the orders of a ruling Turk, who intended to make her his bride. However, feisty Rodanthe was having none of that! Rodanthe tricked her captor, and then fled to the mountains dressed as a young man. After joining rebels as Spanomanolis (Beardless Manolis), she drew on her unusual experiences and rare education to maintain her disguise throughout daring raids. Infused with myths and local flavour this novel also gives insight to customs that still shape many lives in Kritsa today. Perhaps I should add a warning here that the content does reflect those bloody times, and although the ending does mirror the legend, I’ve given it a unique twist. Kritsa villagers still commemorate the legendary exploits of Rodanthe annually with a special parade and service, although she now known by the honorific title, Kritsotopoula, Girl of Kritsa. In light of this, it seemed an obvious title for the book. I live a duel life split between Wiltshire in the UK and Kritsa in Crete, and after first learning about ‘our’ local heroine I was disappointed not to find any text in English to tell me more about her. Then a few years later, I watched in awe as fellow Brit villager, Nigel Ratcliffe sculpted the wonderful memorial to Kritsotopoula, now placed at the site of her last battle. This piqued my interest in the story again, so I decided to write a pamphlet to allow summer visitors to Kritsa to learn more about her amazing story. When I found nothing to explain how a young girl could maintain such an amazing disguise my imagination took over, and the pamphlet grew into a novel. I love writing what I experience, in the way that other people might take photographs. For example, I wrote the description of a spectacular sunrise as it happened, and I’ve completed every walk that I attribute to Rodanthe so that I could write about it from first hand experience. I even rode a donkey as that was the mode of transport in Rodanthe’s day, and for part of the story I cast her in the role of a drover, so I had to know something about the care of these beautiful animals. I love big fat novels and wrote one of 150,000 words. Then I had to face up to the fact that as an independent author paying production costs myself, I needed to aim for 80,000 words, ouch! Without doubt, it was hard to cut characters and dispense with big chunks of storyline. However, I think that writing so much before pruning meant that I gained great understanding of my Rodanthe. I find that a difficult question as I’ve read and enjoyed so many over the years. Sharon Penman – The Sunne in Spendour, Mary Stewart – The Crystal Cave, Jean M Aual – The Clan of the Cave Bear, Wilbur Smith – When the Lion Feeds, and Ken Follett – Pillars of the Earth have all met my preference for meaty tales that whet my appetite for the next book in a series. Since living in Crete, I’ve sought out books set in Greece and Crete and while I thoroughly enjoyed the deservedly acclaimed Captain Corelli’s Mandolin, by Louis de Bernieres I found his Birds Without Wings a compelling read. As a child I devoured Enid Blyton books, she sowed the seeds for a lifetime of reading pleasure. That might not be a very sophisticated answer but I think once a child is hooked they’ll treasure reading forever. Under a shady tree on a quiet Cretan beach, where surf crunches the pebbles. As well as being a scene in the story, it’s a fabulous place for creative phases as I can gaze at my beautiful surroundings when I’m stuck for inspiration. My own patience surprised me, as I’m usually someone who looks for fast results. I never got bored with revising, editing, even after three big re-writes, I think this is because I was literally learning to write as I went along. I have a very active and pragmatic learning style, so I’m sure that if I’d have set out to learn the theory of writing I’d have been overwhelmed and not started. I showed my first manuscript to Nigel Ratcliffe, the sculptor of the Kritsotopoula memorial because I knew that he’d be interested in the subject matter. What I didn’t know was that in his past Nigel had been a writer so knew an amazing amount about the process. His feedback after reading developing drafts was an amazing gift that gave me the confidence to continue. I decided not to spend time perusing traditional publishing, as I wanted to get the book into the Kritsa market place where I’ve judged tourists might buy the book as a souvenir of their visit. This meant I needed to find a good assisted publisher, as I didn’t have the knowledge or time to be totally independent, and I think I made a fabulous decision when I chose SilverWood Books. Be prepared to invest the time and money it takes to make your book as good as it can be. Even though I chose to publish independently, I wanted it to look and feel like a traditionally published novel. I became increasingly confident as feedback from early readers, and my editor, allowed me to polish the manuscript further, and I adore the cover design provided via SilverWood Books. I have written 60,000 words of a sequel called Rodanthe’s Gift, but work on it has stalled as I’m focusing on launching Kritsotopoula, Girl of Kritsa. I’m also excited about a forthcoming party in the centre of Kritsa that will act as an official launch, and give me opportunity to thank the villagers who have made us so welcome. The party, during the second week of May 2015, will coincide with the opening of a new museum dedicated to Kritsotopoula and the annual memorial events. You are all invited! Thank you for a wonderful interview and your kind invitation, Yvonne! One of these days, I will return to Greece. I wish you much success with Kritsotopoula, Girl of Kritsa! Frida Kahlo’s Love Letters To Jose Bartoli On Display. It’s my pleasure to welcome writer, K. S. R. Burns to The Writing Life. K.S. R. Burns is the author of the new novel Rules for the Perpetual Diet (Booktrope 2015), as well as a non-fiction book, The Amazing Adventures of Working Girl: Real-Life Career Advice You Can Actually Use (Running Press 2009). She has written for newspapers and magazines in the U.S. and abroad, and currently writes a weekly career advice column for The Seattle Times. She has never run away from home, like her character Amy, but she has lived in 22 cities—one of which was Paris, where she stayed three years. No longer a wanderer, Burns now happily resides in Seattle with her husband and cat. I call it “book group fiction,” but a publisher would probably class it as “women’s fiction,” a term I am not crazy about, but there it is. Amy is 29, grieving the recent loss of her best friend, ticked off at her uptight husband, and sick and tired of her boring hometown of Phoenix. She’s also perpetually hungry, because she’s on a “perpetual diet.” Something’s gotta give so one day she picks up and runs away to Paris, her dream destination (though maybe not the best place to avoid carbs). Once in France, she not only finds that her numerous issues have come right along with her, she discovers a Paris few casual tourists see as she is robbed, stalked, arrested, and—almost—kidnapped. I wrote it for my book group. I’ve been in the same group for nearly 20 years and in our meetings we often talk about what makes a good book group novel (e.g., characters that are not black and white, a surprise ending, an exotic location, and some humor). I thought about these discussions as I worked on my novel, and tried to write the kind of story a book group would enjoy. Rewriting! First drafts are excruciating. But once I have some words down on the page? Let the games begin. That painful first draft, of course. Hemingway once said, “There is nothing to writing. All you do is sit down at a typewriter and bleed.” We have computers now but otherwise this is still absolutely true. E. B. White has always been one of my idols, in terms of the purity and elegance of his prose. Also Nabokov—he was an amazing writer, whatever you may think of his actual books. I also enjoy curling up with a cup of tea and a good Barbara Pym, or even Anthony Trollope. Well, E. B. White. I’ve read all of his essays and letters. He seems to me to have been the kind of quintessential writer’s writer who cares deeply about each word, and I admire him immensely. Favorite place to write? Once I’m actually writing I am not conscious of my surroundings, so the ambiance is not that important. Any place where I can be alone and uninterrupted is fine. I did, however, get to go to Paris to do some “research” for the book, and hugely enjoyed being able to write my novel about Paris while in Paris. That was very cool. Well, I have had 59 jobs. Not that I get fired all the time; I’ve just moved around a lot. The 59 jobs, actually, are the subject of my non-fiction book, The Amazing Adventures of Working Girl, so I guess this isn’t exactly a big secret…. I was surprised at the number of readers who write me. I myself have never written an author. But apparently a lot of people do, and I love hearing from all readers, whatever they have to say. I sought a lot of input and was willing to write and revise until I got it as good as it was going to get. Grow a thick skin! Seriously, you will need to get used to rejection. A lot of rejection. Rejection in the morning, rejection in the evening, rejection at suppertime. That’s not very original advice, of course, but the amount of “no” that all writers hear (even well-published ones) is stunning. My site is at www.ksrburns.com. On Facebook, my author page is KSR Burns. Oh, you can get it in digital or paper form from all the online vendors, or you can order it from any bookstore. If you come to my house, I will sell you a copy. 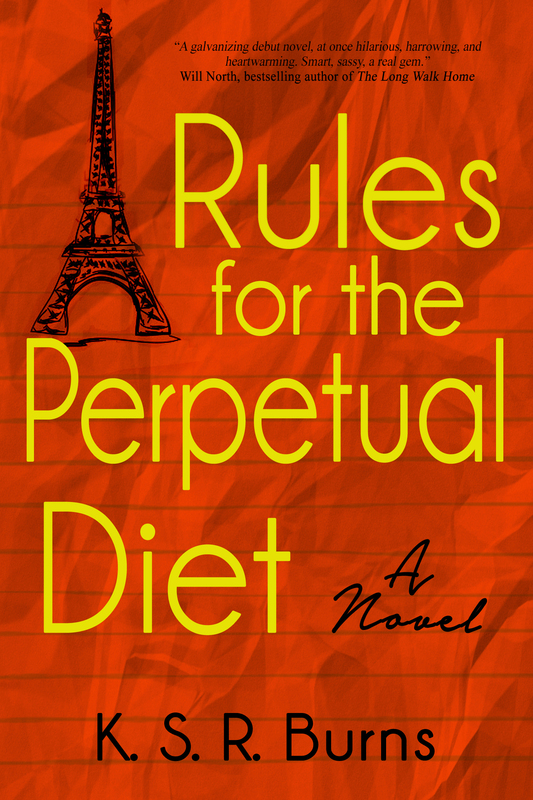 I’m working on the sequel to Rules for the Perpetual Diet. After I finished I realized I wasn’t, um, finished. Amy is not through with me yet, and I’m not through with her. Thanks for a great interview, K.S.R. Burns! Best of luck with Rules for the Perpetual Diet.